The plume of smoke up Four Mile as seen from Highway 82 east of Carbondale. UPDATE 7:15 p.m. – Fire now estimated at 30 acres, one large air tanker, a type 1 helicopter and four single-engine air tankers are en route. 6:45 p.m. – Holy Cross Energy has reportedly turned off electricity in the area due to burning power poles. 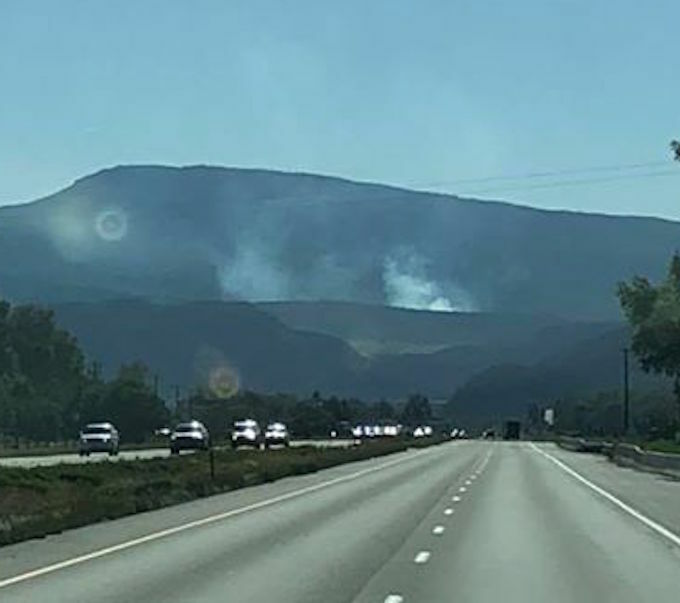 Backup has been called in from Carbondale, Colorado River Fire Rescue and the BLM, and helicopters have been called in to help fight the fire, he said. The fire was reported around 5 this evening.